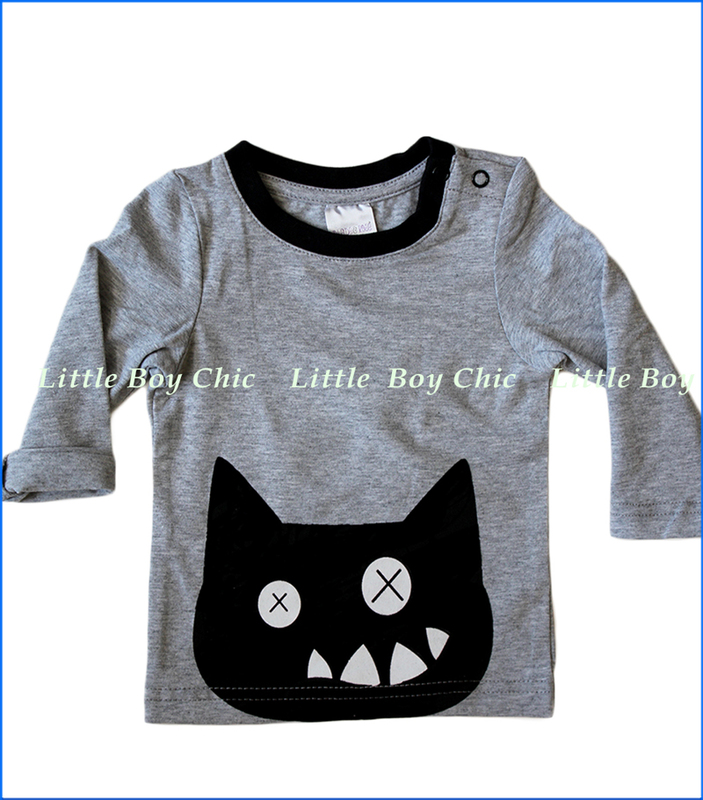 This long-sleeve (L/S) top features a playful and whacky black cat flock print. Tactile print texture keeps baby fixated. 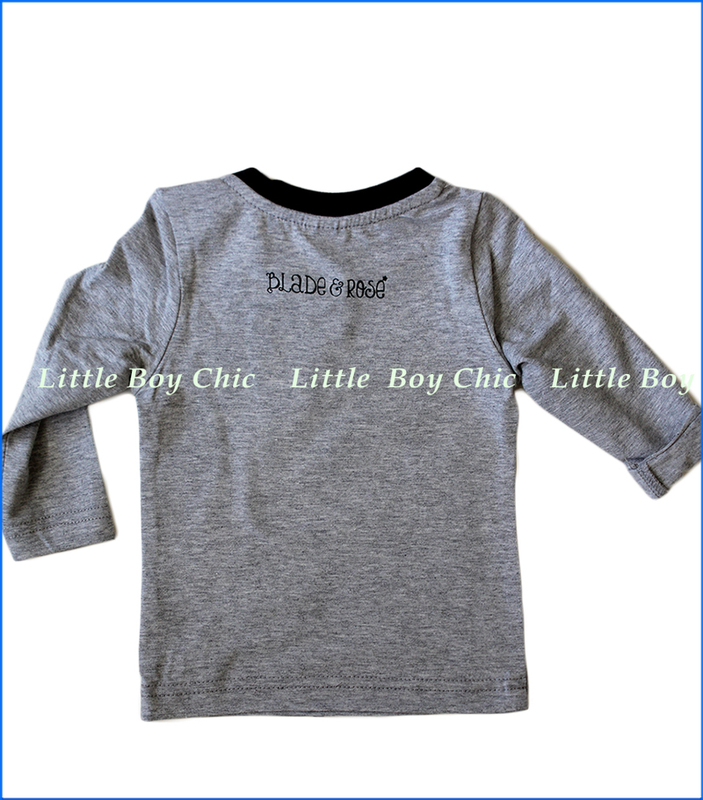 Snap neck closure for ease in dressing or removing. Contrast crew neck holds its shape over time. A little bit of elastane adds stretch and comfort. Embroidered logo on the back. Pairs with Rose & Blade Crazy Cat leggings.